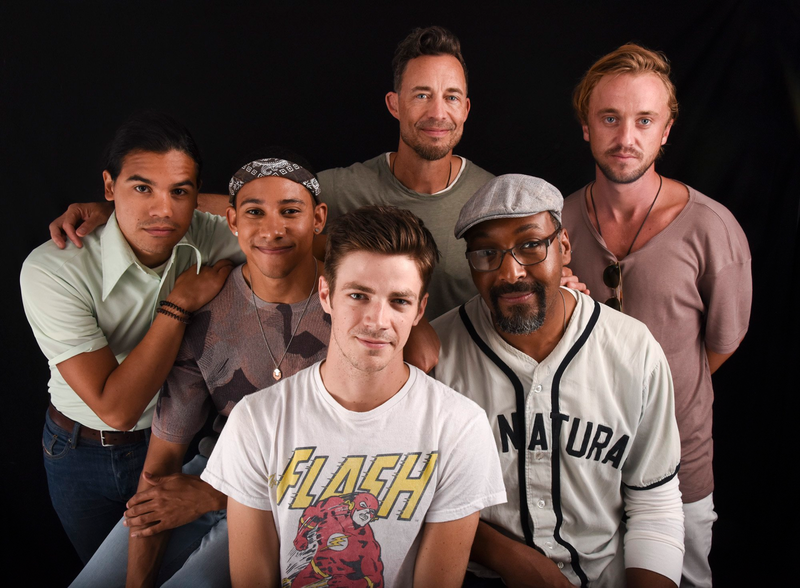 The Flash Cast - Comic Con. . HD Wallpaper and background images in the The Flash (CW) club tagged: photo cw the flash cast san diego comic con 2016. 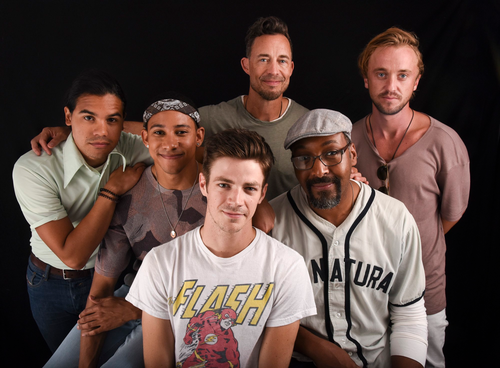 This The Flash (CW) photo contains ballspieler, baseball-spieler, and baseballspieler. There might also be gatter, wicket, right fielder, rechts fielder, recht fielder, first baseman, erste äcker, erste baseman, erster sacker, erster basisspieler, and erste sacker.